The twenties are the time when you’re finding yourself, or the period of risk taking. Right? Well, what do you do after you turn 30? You can either decide to play it safe, or GO FOR IT! Risk it all, or nah? Traveling with my sister who’s now apart of the 40/40 club, I couldn’t help but glance over to what she was reading on the plane ride. It was a book challenging self to set and complete bucket list tasks. I began to think while on our trip how could we put this book to use. 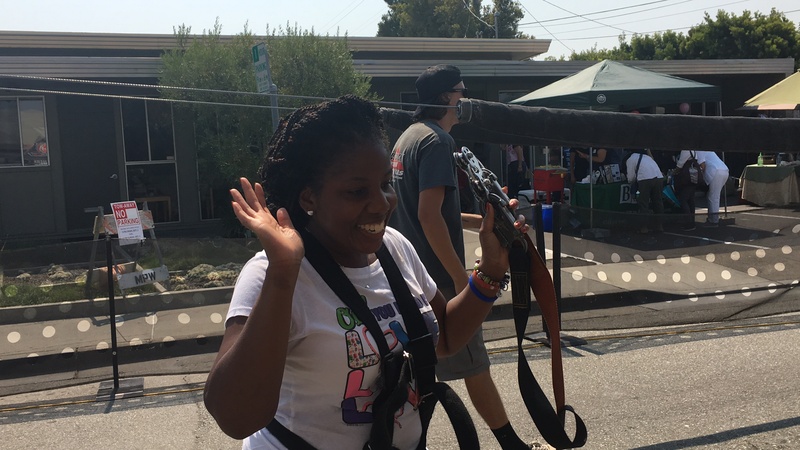 When we spotted a zip line at a local art & wine festival, my sister had the perfect idea. We joked before about zip lining at the zoo but it was over the bears, and we had seen the Katt Williams skit with the lions. This route seemed a lot safer. She said it was something about turning 40. She reached the point of being unapologetic, and understanding that “No” is a complete statement. I can’t wait until I get to that point. What I did realize in that moment is that the only time that things shifted for me was when I stepped outside of my comfort zone. Growing up my sister and I used to love a good rollercoaster at a theme park, but the older we got we found ourselves playing it safe. I was surprised when she suggested that we take on the task of flying over festival patrons. Why did I do it? I trust my sister, and I know that we are stronger together than going solo. Even with all of my projects she is either the EP or Editor. She has challenged me in ways that she may never know. It’s so important to have a tribe to reassure you when you’re right, and CHECK YOU when you’re wrong. Don’t be afraid to step outside of your comfort zone, and overcome those fears. If there is something that you’ve been waiting to do; put a plan in motion and do it. Don’t waste anymore time. You got this! My past is more lit than the SOLAR ECLIPSE. Well, it’s not exactly “blinding” but I can say I have been exposed to some pretty dope opportunities. I believe I told you before from time to time I “Google” myself. I need to know what’s out there, and the narrative that is being shared about yo girl. I’m going through the images and even though I don’t have a common first name I share it with fellow dope brown girls like myself. One of them has the same first and last name (Impeccable Faces by Ronnika) and she’s KILLING it. Check her out! I’m going through the images, and I come across a picture that I didn’t recognized at first glance. Has that ever happened to you? You run across a picture that you don’t remember taking. The picture was taken three years ago during a research competition. The platform allowed me to discuss my time as an Archives intern at the Museum of Confederacy, and improve public speaking skills. I placed 2nd in the competition, and that experience was mind-blowing. Who knew that learning to transcribe 19th century manuscript, process an archival collection, and speak in front an audience about my findings would lead to a career in archives, or even a children’s book! I’m continuously amazed by the blessings that can come from following the calling that is on your life. Even typing the post for today I was reminded that the “art of storytelling” kept me out of a lot of trouble. As a little girl, to distract the individuals from bullying me I began telling stories about my family to get others around me to laugh. No, the stories weren’t always funny, but they were true. I have always loved a good story, but I had no idea that my love for archives/history, and storytelling would lead me to a place of publishing books, documentary projects, or even this platform of #MotivationalMonday on this site. It’s unbelievable what can happen when you let go, and let God. The opportunities are endless, if you truly believe that your gift can take you places that you only imagined in your dreams. I’m owning that my gift is storytelling, and working everyday to perfect that craft. That has got to be some of the most succinct advice I’ve heard in a long time. Thank you Pastor Clark! Be careful of what you post. We are living in a day and age where people are constantly on social media. They are connected, and when you think no one is watching they are. At times we see that the negative behavior gets more attention than the positive. Sad but true. When we’re upset the first thing we do is run to our social media to air out our dirty laundry. Makes no sense right. Why would you put anything on the close line that isn’t clean? Working with young people I am very aware of what I post on social media. They are watching EVERYTHING that Ms. RJ does. Children will often times adapt to consistency, and if I constantly produce positive behavior/content they will eventually attach themselves to that characteristic. Don’t get me wrong we have those moments of transparency when we are able to share our shortcomings with others in order to assist them with not repeating that mistake. But, let’s be real, people are laughing because it’s entertaining. You’re depressed and angry, but they are amused at your situation for all of 48 hours and then it’s on to the next. Don’t constantly show your hand. Protect your personal life like it’s your hand in UNO or Spades. You are a brand. Whether you’re in business or not, you are a representative of everything you stand for. When the urge hits you to act out on social media, pick up your journal and declare that you are over the petty stuff. Another reason why I enjoy going through my TimeHop memories are the reminders of how far I’ve come. Dedicated to consistent growth, and you will begin to see the results. Dear Breakthrough, Where are you? If I could describe today with one emoji it would have to be the upside down grinning face. I struggled with writing this post today. Quite frankly I was in no mood to motivate myself or others. My sleep pattern has not been the best lately, and I’ve been functioning on fumes for the last three days. Have you ever felt as though you’re not being appreciated. Your work is in vain? No one is noticing your progress. I’m not receiving the feedback that I need. I want to live comfortably. I need this partnership/sponsorship. Will my true love come, and scoop me up? Debt…well I won’t touch that one. Within the last week I’ve had two conversations, and they both resulted in my purpose driven lifestyle. What am I doing for my brand? What is my brand? Can you easily answer those questions? Some days I can; somedays I can’t. Twenty of the last seventy-two hours were spent on Highway 31 and 65. I feel as though I am in the waiting room; has my number been called? While I’m waiting, I’m still working. Those moments that I ask myself what am I doing this for? No one is reading these motivational Monday post? Are they encouraging myself, my followers, the masses? And then I was asked to read my book to a classroom full of 6,7, and 8 year olds. Granted this wasn’t a breakthrough that I imagined, but it was a breakthrough with my FIRST book reading for an elementary group. Our breakthrough may not always come in the form that we imagined. ANDDDDDDD they don’t always have to be the huge/gigantic breakthroughs that we once assumed would happen in such a grand way. I must realize that a lot of things will not happen overnight. I must stay on the path to my breakthrough, because Lord I know that it’s right around the corner. What have I learned in 2016? You can’t do it all by yourself. As much as we think we can, we can’t. We need a team or a tribe to hold us accountable and essentially help with bringing the bigger picture to life. 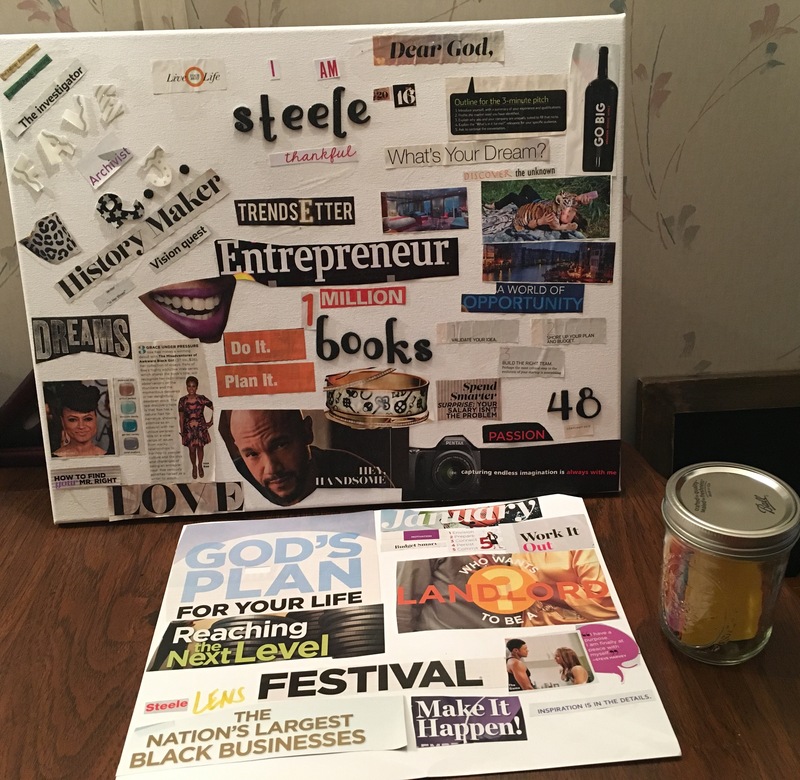 I have items on my vision board that didn’t come to fruition this year, and you know what. That’s okay. Add on to them or change them. New Goals, New Year! I took some trips this year that allowed me to connect more with my purpose. I connected with family members that I never knew existed, and reconnected with some people during unlikely circumstances. I overexerted myself in some areas, and simply loss the grip on some in my personal and professional life. 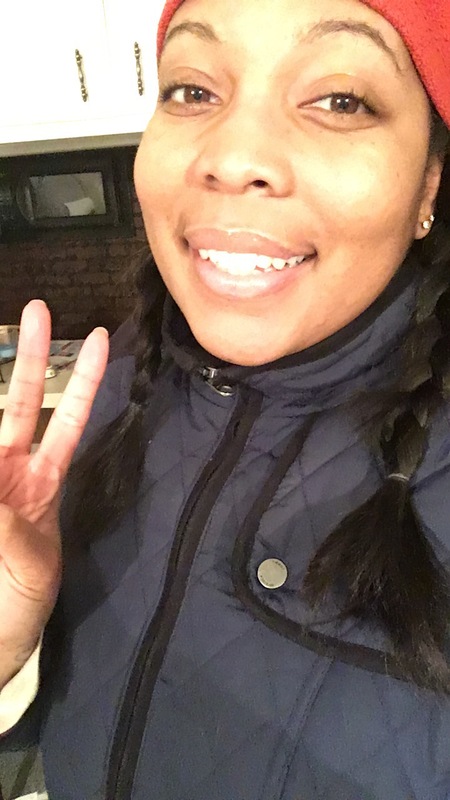 I started a new career path, in order to give back to my community, and find peace within my current journey. I learned that you can be unqualified for a powerful position and still secure the job. It takes guts, and you have to be willing to put yourself out there. You will have naysayers, or as the millennials say “haters” but you can’t worry about them. Do what’s best for you. I had to get back to me this year. I’m going to focus more on what works best for my sanity. People won’t always understand what you’re doing, but for those that trust you they will support. 2017 will be a huge year of branding for Steele Lens and what falls under the umbrella of the company. 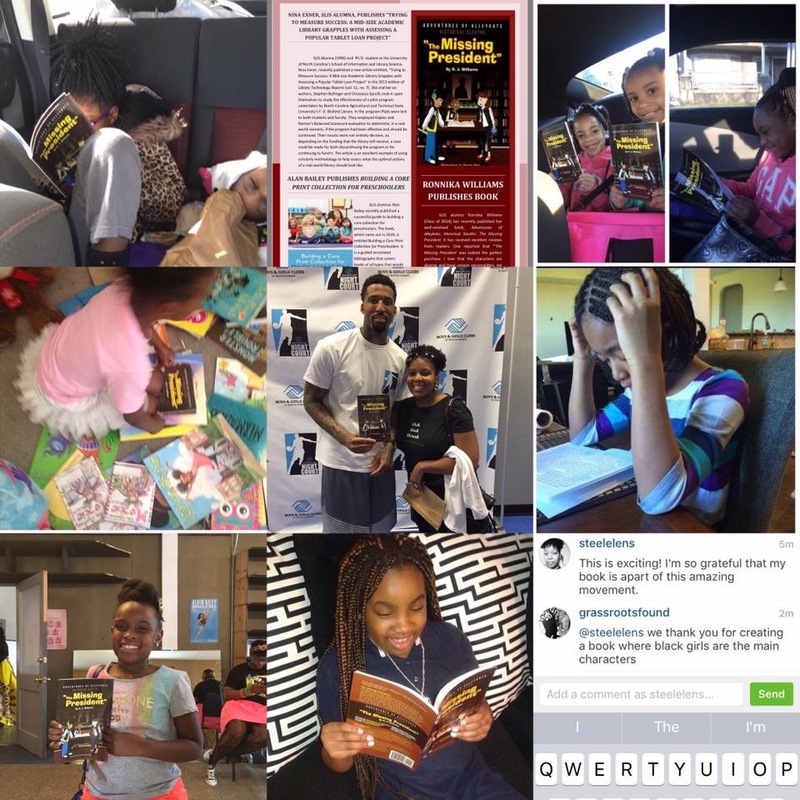 The first book in the Adventures of Alleykats series was released, and the support has been EVERYTHING. Looking forward to releasing book 2 in 2017. The Final 48 Project continues to prove to me that the documentary and photography campaign is necessary. Honestly, take a look at your timeline. A lot of your friends have suffered a significant loss this year. We need love and support from each other more than ever. 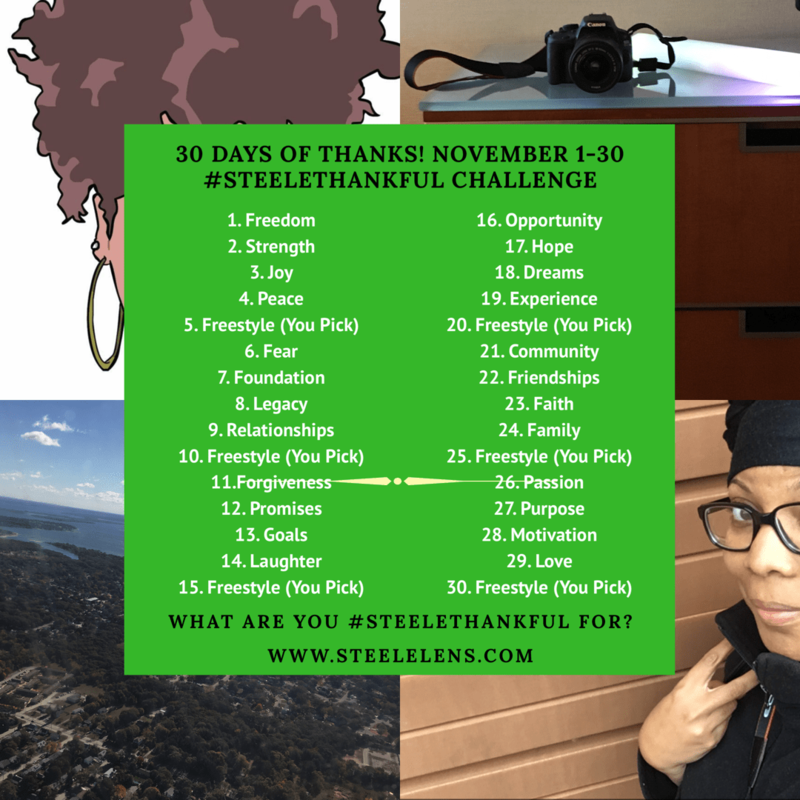 The annual #SteeleThankful Challenge will be bigger and better and that’s thanks to you all. You trusted me, participated, and we all learned so much about ourselves. I will continue to keep the faith, and believe that God has some amazing things in store in order to make this world a better place. Throwing Glitter and Lots of Love going into 2017!